Tickets on sale for 2016 Footcandle Film Festival! Tickets are now on sale to the general public for the 2016 Footcandle Film Festival! The festival will be held September 23rd to 25th, 2016, at the Drendel Auditorium on the SALT Block. 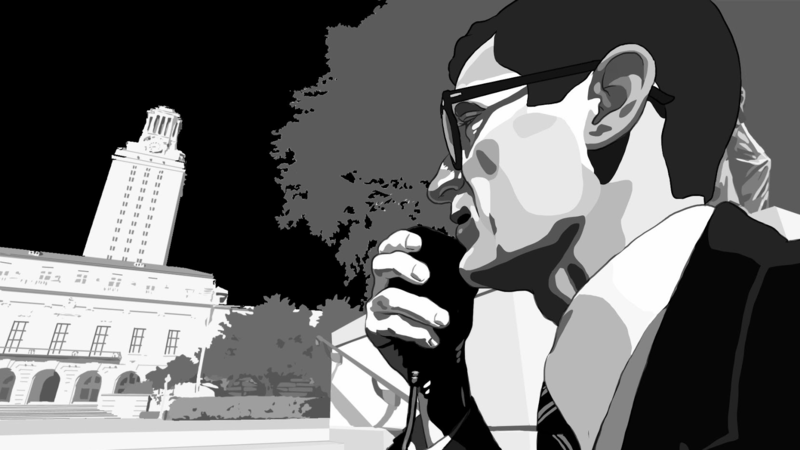 On Friday, September 23rd, we will get an early start to the festival by showing two North Carolina-based documentaries. Each of these two screenings will be $5.00 per ticket. Then, later that night is our Opening Night event where we screen our short film selections, followed by an opening night reception in the gallery of the Hickory Museum of Art. For those brave and more “adventurous” viewers there will be a second late-night screening of edgier shorts we’re calling the “Night Gallery” following the reception. The ticket price for this evening’s event is $20.00 per person, and includes food and drink at the reception. On Saturday, September 24th – and running all day and evening – we will be screening our seven (7) narrative features in the Drendel Auditorium on the SALT Block. Then, on Sunday, September 25th – and running until mid-afternoon – we will be screening our four (4) documentary features also in the Drendel Auditorium on the SALT Block. All individual film screenings for both days will be $5.00 per ticket. At 6:30pm on Sunday there will be an awards ceremony at The Crossing at Hollar Mill where festival winners will be announced and a great dinner will be served. The ticket for the ceremony and dinner is $30.00 per person. Can’t choose which films to attend? Starting this year, we are introducing “passes” for the festival. You can choose to purchase a “Feature Film Pass” which will provide you with tickets for all thirteen (13) feature-length films throughout the weekend. These passes are $50.00 and provide you with one ticket for each of the films (a $15.00 savings). Each ticket can be given to someone else if you are unable to attend some of the films. If you are interesting in attending ALL of the events for the weekend — the Opening Night Short Film Event & Reception, all thirteen feature films, and the Closing Night Awards Ceremony & Dinner, you can purchase an “All Access Pass” for $100.00! Once on the ticketing site you will see a list of the different films and events. To buy tickets, select a film and then indicate the number of tickets you’d like to purchase. Next click on the “Add Tickets” button to add them to your order. To add other films click on the “Continue Shopping” link and it will return you to the list of screenings to choose from. You can order all of the tickets at one time if you use the shopping cart feature to check out. You can find out more about each of the films by clicking the “2016 Festival Films” link across the top menu bar of our web site, and then choose the category of film you’d like to explore. We hope to see you at this year’s festival! 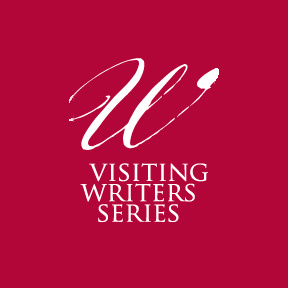 We are excited to be partnering with the Lenoir-Rhyne University’s Visiting Writers Series as they host a night with screenwriter and director William Stribling as he discusses the art of writing for film and video. The evening will also feature his film “Bear With Us”, that is also playing during the festival weekend. This event will be taking place in the P.E. Monroe Auditorium on the Lenoir-Rhyne University campus. More details will be available soon! UNC-TV Public Media North Carolina is back in Hickory and the Catawba Valley Region! UNC-TV Public Media North Carolina with support from Footcandle Film Society of Catawba County and Hickory Metro Convention Center and Visitors Bureau are proud to present an exclusive preview screening of UNC-TV Public Media North Carolina’s CATAWBANS. 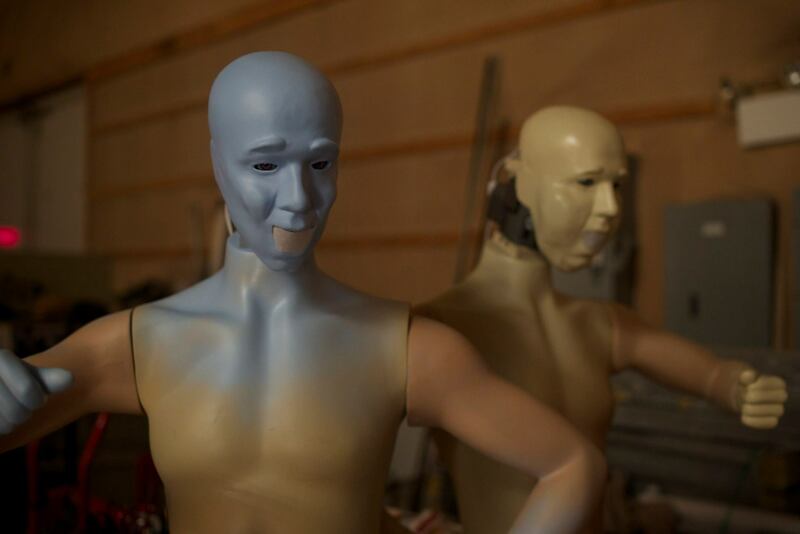 Coming in November to UNC-TV Public Media North Carolina is a new documentary that surveys the arts renaissance, economic resurgence and educational innovation of the Catawba Valley region. Public Media North Carolina seeks to share with the world what those of this area already know – Catawba is Making. Living. Better. But you can celebrate this dynamic film first, as a special guest. You and your guests are invited to join us as we celebrate you, your friends, neighbors and fellow Catawbans at a special preview screening and dessert reception. Space is limited, registration is required. Please RSVP via Eventbrite. If you have any questions, or to register via email or phone, contact Karen Nowak at knowak@unctv.org 1-866-752-0025. This event is made possible with support from Footcandle Society of Catawba County and Hickory Metro Convention Center and Visitors Bureau. In partnership with the Footcandle Film Society, Lenoir-Rhyne University will host a night with screenwriter and director, William Stribling on Thursday, September 22 at 7 p.m.in PE Monroe Auditorium. During the event Stribling will discuss the art of writing for film and video. He will also share a screening of his film, Bear with Us, which is currently making the rounds at film festivals worldwide and has garnered several awards along the way. Stribling is an award-winning filmmaker who holds degrees from New York University in Film/TV Production and Dramatic Literature as well as a Masters in Screenwriting from Chapman University in Orange, California. His short film Down in Flames: the True Story of Tony “Volcano” Valenci was recently released on Amazon after a long and successful film festival run. Stribling’s first feature film Lies I Told My Little Sister was released in 2015 by ARC Entertainment as a “Geena Davis Selection”. Most recently, Stribling directed the web series Edgar Allan Poe’s Murder Mystery Dinner Party for Shipwrecked Comedy. He lives and works in Los Angeles where he is currently writing and directing a digital series for Adaptive Studios. Stribling’s Bear with Us will also be shown as part of the Footcandle Film Festival, scheduled for September 23 through the 25th. The inaugural film festival was held in September of last year in an effort to bring unique, challenging and entertaining films to Western North Carolina. The event is presented by founders and members of the Footcandle Film Society, a 650-member group dedicated to screening and discussing films on a monthly basis. The society was formed in late 2007 by Alan Jackson, President and CEO of The Jackson Group in Hickory and Chris Frye, Media Producer at The Jackson Group. In partnership with the Footcandle Film Society, Lenoir-Rhyne University will host a night with screenwriters, directors and producers Chip White and Shea Sizemore on Thursday, September 21st at 7 p.m.in PE Monroe Auditorium. During the event White and Sizemore will discuss the art of writing for film and video. They will also share selections of their work during the discussion. Co-founder of Our Films LLC, Shea Sizemore is a writer and director whose heart is fully committed to making movies. From his humble beginnings in the world of Claymation, to documentaries about hurricane Katrina, to scripted narratives about killer Port-A-Potties, the Civil War, and shrimp boats on the high seas, Shea is a born storyteller who is heavily influenced by the world around him. From his roots in the coal mining towns of Virginia, to the flats of Texas, to living in the swamps of Florida, over the mountains and into the cities of North Carolina, Shea draws inspiration from all walks of his life. Shea’s spent time at INSP TV, where he wrote and directed feature films for theatrical and television release. In 2016, Shea directed his first feature Heritage Falls for INSP. He has produced programming for SPEED and Fox Sports, he also wrote and directed 2013’s A Chess Player, the 2015 My Luchador and the 2017 Crab Trap with producer Chip White. Sizemore’s Crab Trap will also be shown as part of the Footcandle Film Festival, scheduled for September 22nd through the 24th. The third year of the festival will bring unique, challenging and entertaining films to Western North Carolina. The event is presented by founders and members of the Footcandle Film Society, a 650-member group dedicated to screening and discussing films on a monthly basis. The Footcandle Film Society is happy to announce the first recipients of its Filmmaker Grant program. 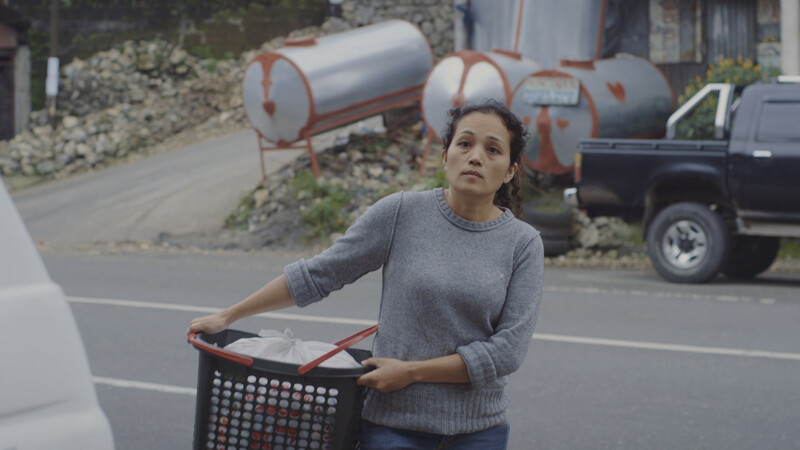 The Filmmaker Grant Program provides financial support to projects that help to further the use of film as a story-telling medium and have a majority of their production work take place in North Carolina. The grant money is intended to help a filmmaker move towards their goal of completing their project so that it can be submitted to national film festivals or secure a distribution arrangement. 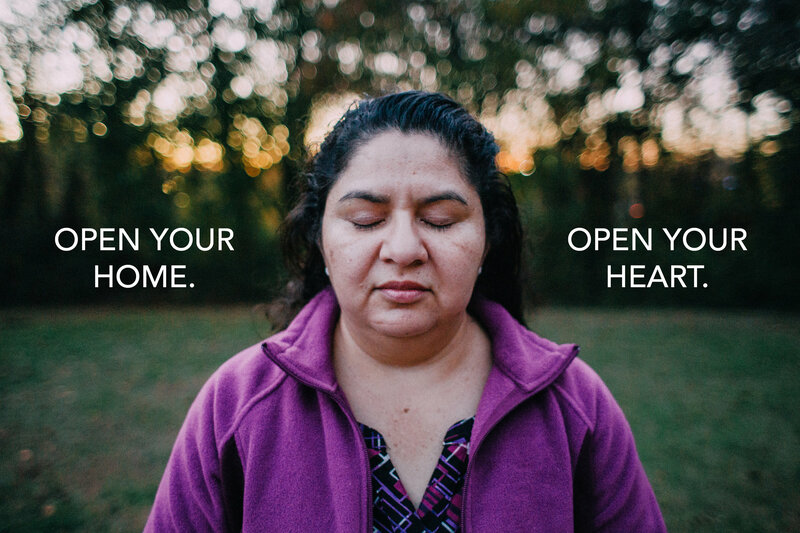 Santuario, a documentary about a small church community in Greensboro, North Carolina, that offers sanctuary to Juana Tobar Ortega, a Guatemalan grandmother threatened with deportation after 25 years of living and working in the United States. The film is directed and produced by Christine Delp and Pilar Timpane. Box Brown, a film based on the true story of Henry “Box” Brown, a 19th-century Virginia slave who escaped to freedom at the age of 33 by arranging to have himself mailed in a wooden crate in 1849 to abolitionists in Philadelphia, Pennsylvania. The film is written, directed and produced by Rob Underhill and will star acclaimed actor and playwright Mike Wiley. Both projects are in various stages of development and expect to be playing at film festivals over the course of the next year. The grant recipients will be recognized at the Footcandle Film Festival’s Closing Awards Ceremony and Dinner on Sunday, September 30th. Congratulations to the first recipients of Footcandle Filmmaker Grants! Film Society Members: Check your Email for Ticket Opportunities! We have some exciting news! As of July 29th we are giving current Footcandle Film Society members the ability to purchase tickets in advance for this year’s film festival before they go on sale to the general public. All current film society members should have received an email with instructions for purchasing tickets. If you did not get that email, please contact us at info@footcandle.org. The festival will be held September 23rd to 25th, 2016, at the Drendel Auditorium on the SALT Block. We are going to put all remaining tickets on sale to the general public on August 15th; we encourage you to get your tickets over the next two weeks to ensure we do not sell out when they are offered to the general public. If you have friends that are not members who might be interested in attending the festival, please have them wait to purchase tickets at this later time. 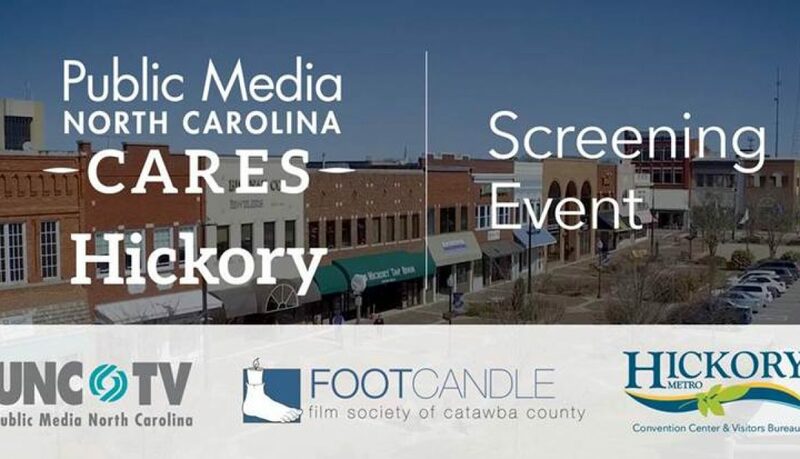 During the weekend of September 23rd-25th, filmmakers from around the world will be traveling to Hickory, North Carolina to show their films at the 2nd annual Footcandle Film Festival. The 2016 Footcandle Film Festival will be held at the Drendel Auditorium on the SALT Block, with films being shown between Friday, September 23rd and Sunday, September 25th. This year’s festival will bring thirty films to the Catawba County area, including short films, documentaries, and dramatic feature films. The festival opens with a Friday night “Short Films” event and reception in the adjoining Hickory Museum of Art, and closes with a dinner and awards ceremony Sunday evening at The Crossing at Hollar Mill. Close to half of the films will be represented by their directors who will be attending the festival to discuss their films and meet festival attendees. A complete list of the films, their descriptions and trailers can be found on the festival web site (www.footcandlefilmfestival.com). One of the filmmakers — William Stribling — is a graduate of New York University’s Tisch School of the Arts and has been directing films since 2012. One of his short films, “Down in Flames”, was shown at last year’s inaugural Footcandle Film Festival. William is traveling from Los Angeles this year to show his latest film, “Bear With Us”, a comedy starring Christy Carlson Romano (Kim Possible, Even Stevens) and Cheyenne Jackson (30 Rock, American Horror Story, Glee). William will also be a guest during a special event on Thursday evening, September 22nd, in partnership with the Lenoir-Rhyne Visiting Writer’s Series where he will be screening his film and discussing the art of scriptwriting for movies. There will also be filmmakers traveling from Germany to show their festival entry “Hear the Silence”, a story of a small, lost unit of German soldiers looking for shelter during an attack on Russia in 1941. All of the filmmakers responsible for the thirty films to be shown during the weekend were invited to attend as a guest of the festival. The Footcandle Film Society, the organization responsible for creating the festival, has raised money throughout the year to help provide travel stipends for the visiting filmmakers. Tickets for the film festival are now on sale for the general public by visiting www.footcandlefilmfestival.com and clicking the link on the home page to “Buy Tickets”. Tickets can be purchased with credit or debit cards; taxes and credit card charges will apply. Tickets will remain on sale up until the weekend of the film festival for any events that are not sold out. The Footcandle Film Society has been screening and facilitating discussions on films in Western North Carolina since its inception in 2008. Through monthly film screenings, discussions, partnerships with various international and educational organizations, the film society has built a community of over 600 members that support film efforts in our region. For any questions about the festival or ticket sales, please contact the Film Society at info@footcandle.org or visit the festival’s web site at www.footcandlefilmfestival.com.